Have you read the reviews of the "new" UI from Redmond? Have you had a chance to give it a test spin of your own? I don't know that I will ever quite understand the need for developers to change things in such large steps. Of course, for me, the most comfortable and familiar desktop interface is eComStation's enhanced Workplace Shell, taken from IBM's OS/2 Warp 4. Elegantly object oriented and functional, while it's not without its own set of issues, it has remained relatively stable and unchanged for well over ten years. Objects behave as I expect them to behave, and I don't have to waste time trying to figure out where things have gone from version to version of the underlying OS, or how to accomplish simple tasks (it's a desktop, after all; at a physical desk, would I want to have to read a manual every time I needed to open a drawer or answer the telephone?). In the KDE universe, 4.0 brought about a tremendous upheaval from 3.5, and I still find myself with launcher icons (I get a kick out of that terminology, as opposed to "program objects") obscured behind a semi-transparent block in the upper left of the desktop (what is that thing doing there, anyway? ), and the whole Oxygen theme sometimes makes me itch (badly). Ubuntu users are up in arms over Unity, which I haven't tried myself (hey, I'm a Novell consultant; I don't get much call to play with other distros besides SuSE). But this whole Metro thing looks like it's going to be a major debacle (and it couldn't happen to a nicer outfit). I'm left wondering what the next iteration of Windows Server (that's a misnomer, if ever there was,,,a game platform with a "server" version) is going to look like and how it's going to behave without a touch screen. Or, perhaps, we'll have servers the size of iPads by 2013, and we'll be expected to administer the boxes without a keyboard and command prompt... It's all so wonderfully GUI that way, right? While I find myself agreeing with your argument against Metro, one cannot forget that the modding scene is already well prepared for it. Stardock has released a utility (with more on the way) directed at curing Windows 8 of its inherent disabilities. Applying custom interfaces to Windows is surely a good idea, but in a production (read: "corporate," for the current buzzword) environment, this is hardly desirable. 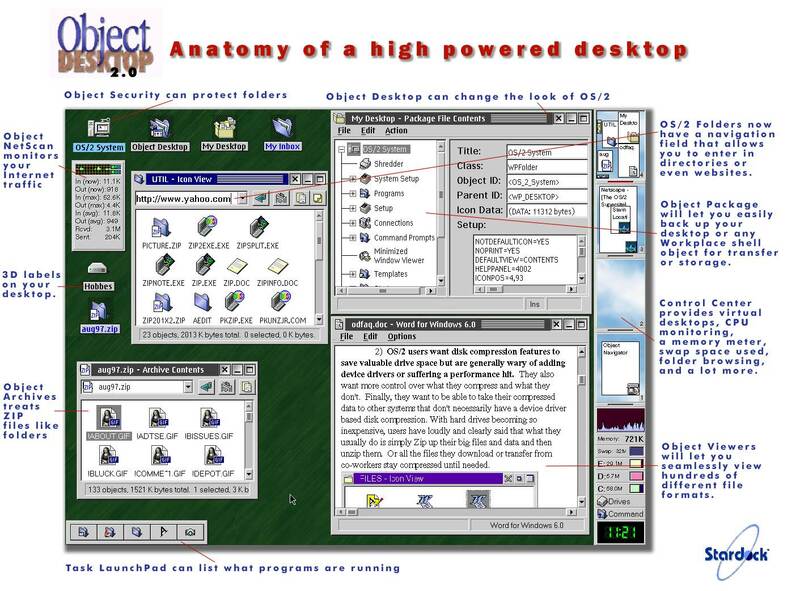 I have tremendous admiration for Stardock (Brad Wardell was a driving force as an OS/2 ISV back in the day before IBM so rudely shut the door in his face – or rather, refused to open it, and I know people who still use Object Desktop). No mater how you cut it, people are going to need to re-learn how they do everyday things, which is, after all, the toughest part of any learning curve. Another stumbling block (and this is true of any closed source OS, including eComStation) is the (often unstable) reliance on someone else to provide the hooks for such interface customizations which could be so easily broken by something like a Service Pack (remember how many things broke in XP when Microsoft released SP2?). The flipside, of course, is that with open source projects, the talent comes and goes as developers gain and lose interest or resources. Thanks for the pointer to Stardock's Start8, though. I hadn't seen the announcement, and it's definitely something I'll consider offering to clients who do eventually upgrade (downgrade/crossgrade) to Win 8.